Last Saturday's celebrations were, by any measure, a great success. The sun shined on the front lawn most of the time, and the rain fell only when the last event had finished. A few photographs give a flavour of the day, which was to celebrate the seven millionth visitor. To be strictly accurate, it was to celebrate visitors seven million and seven million and one - retired toxicologist Derek Stringer and his wife Nancy, from Bowness-on-Windermere, both 73. 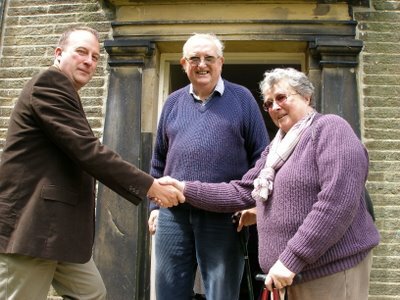 They are pictured below just before a press photocall on the front steps, with Alan Bentley, Director of the Parsonage Museum, Keighley MP Ann Cryer and Brontë Society Chairman Richard Wilcocks. 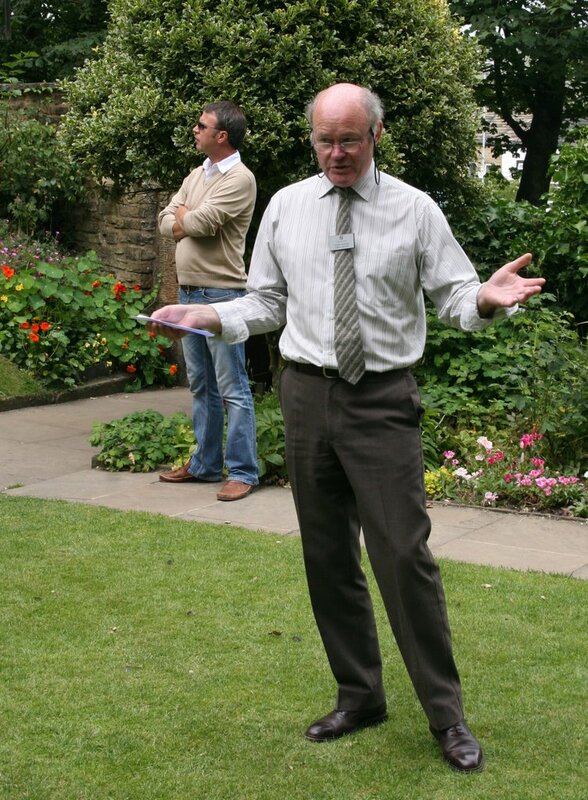 Deputy Director Andrew McCarthy was in role for his fifteen-minute show Branwell's About. 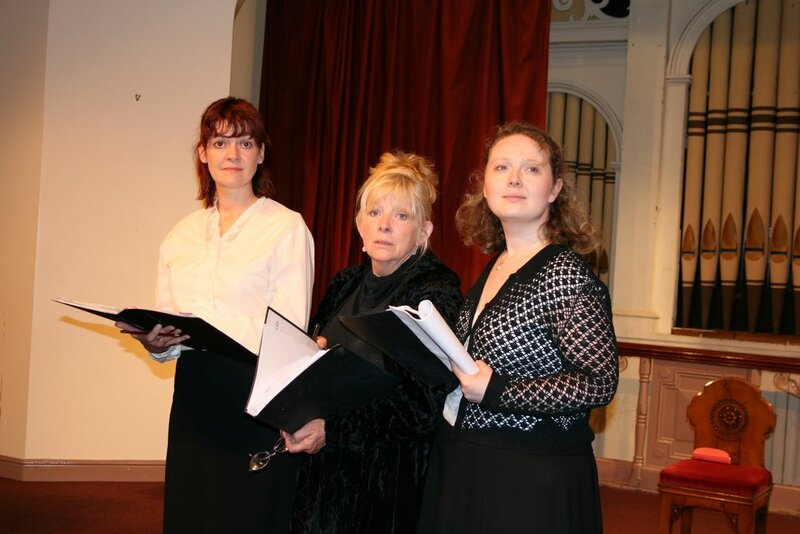 This involved the recitation of a poem allegedly by Branwell and comic interaction with members of the audience, three of whom are seen here as Anne, Emily and Charlotte. Latest information from the BFI - the names of the cast members who will be on stage on 16 September in London have not been announced, so we can't definitely say that Ruth Wilson will be there. Also, members in the United States will be pleased to note that the series will be shown in two two-hour slots on Masterpiece Theater in January 2007. Thanks to Bronteana (see link) for that. Ruth Wilson as Jane and Cosima Littlewood as Adele are shown here in a break from filming at Haddon Hall in the Peak District. Photo courtesy of Linda Bussey, taken in April this year. Thanks to the British Film Institute for providing the information that there will be a special preview of the first two parts of the new BBC Jane Eyre on Saturday 16 September, beginning at 5.50pm. This does not yet appear in their publicity (www.bfi.org.uk) so it might be wise to check the time nearer the date. Most of what follows here is based on a press release sent out last Friday. It gives an outline of my opinions on how classic literature is taught (or not taught) in English schools. Because I am posting it, it seems inappropriate that it should be in the third person, so I have tweaked it a little. Thanks for the emails so far received, incidentally (by way of hevelius@poriruacity.com) which are all more or less in tune, which is heartening and disappointing at the same time, because I was hoping to engage in a little back-and-forth. For the benefit of a couple of American correspondents, I must state that I know precious little about the curriculum in the high schools there, so I’ll leave it up to the locals to find similarities and differences and to pass judgement. Please note the sentence - This is often in spite of the best efforts of teachers. I happen to know some excellent ones, who find ways round officially prescribed practices and who plant seeds. I am aware that in the last couple of years, a number of well-informed teachers and advisers have deplored the lack of real “opportunities for extended reading” in the curriculum, so there are moves to correct imbalances, but this usually involves currently-practising authors like David Almond, whose brilliant novel Clay features strongly in the Carnegie Shadowing Project . Young people are given insufficient time in the classroom for in-depth study of texts. This is often in spite of the best efforts of teachers. Many more people are drawn towards the Brontës by forces outside schools, for example by new adaptations of novels like Jane Eyre by the BBC. A series of Government initiatives in schools - with the admirable objective of improving standards of literacy - has led to a situation in which love of reading and literature generally is being rather neglected in favour of a rigid 'framework' approach. For at least the last decade the definition of English as a subject has been increasingly prescribed. The emphasis on capital L Literacy is becoming a significant encroachment on English as a creative and humanistic domain, because it does not appear to give more than a token acknowledgement for the value of literature. I believe in the sharing of 'real' texts, whether described as classic or popular. This enables personal growth and the study of literature to come together. This sharing - through reading, creative writing and improvised drama - was the feature of the Brontë children's early educational experiences which led to the great works which followed later. The forces which drove them in a nineteenth century parsonage are universal, and can be harnessed in many other environments including that of a twenty-first century classroom. Currently-prescribed practices in the official literacy strategy require pupils to focus on fragments of text, seldom on whole texts which might elicit a 'whole' response. This discourages the formation of a profound personal relationship with a work of literature. The best teaching is based on the stimulation of the imagination, of course, and teachers can get plenty of advice on that from the Parsonage, which is rapidly developing into a regional centre for the Arts. Parsonage Museum director Alan Bentley is seen here with retired toxicologist Derek Stringer and his wife Nancy, from Bowness-on-Windermere, both 73. They were the seven millionth visitors to the Parsonage, in June. Mr Stringer, who had never even opened any of the Brontë novels before being presented with a ‘goody bag’ containing all of them, has now been stimulated into starting Wuthering Heights. 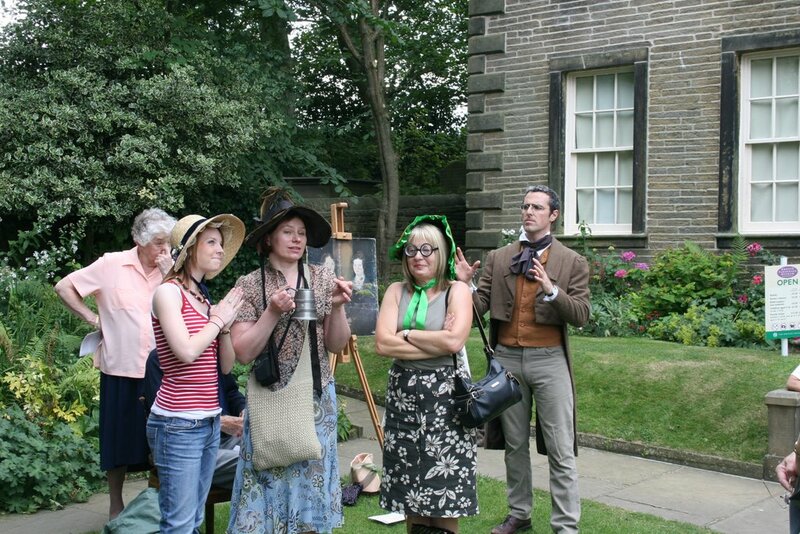 The Stringers have also been given a year’s free membership of the Brontë Society, and have been invited to be guests of honour at the Parsonage open day next Saturday, July 29th. The highest number of visitors ever recorded at the museum since it opened in 1928 was 221,000 in 1974. The figure was attributed at the time to the popularity of the TV series, The Brontës of Haworth, and the recent success of the Wuthering Heights film starring Anna Calder-Marshall and Timothy Dalton. Soon after, it was decided that the large numbers of visitors were damaging the 200 year-old building and the numbers were regulated. Now the museum sees about 88,000 visitors a year. "It's my wife who is the Brontë fan,” Mr Stringer said. “She has read all the novels. "We went because, of course, we are aware of the Brontë heritage and the importance of them in English literature. We also wanted to see the environment in which the books were written." It was their first visit, and they were surprised to learn they were the seven millionth. Next Saturday’s open day will be free to people living in postcode areas BD20, BD21 and BD22. Identification will be required. Throughout the day - in the education room or the meadow - drop in art and craft activity. The Cornelia Parker Exhibition launches the Brontë Contemporary Arts Programme. An ambitious project to establish the Brontë Parsonage Museum in Haworth as a vibrant centre for the creative arts will be officially launched with a stunning new exhibition by one of Britain's most famous artists, and Turner Prize nominee, Cornelia Parker. Cornelia Parker's Brontëan Abstracts exhibition will run from Saturday 16 September to Sunday 31 December 2006 and will, most unusually, be displayed within period rooms of the Parsonage. 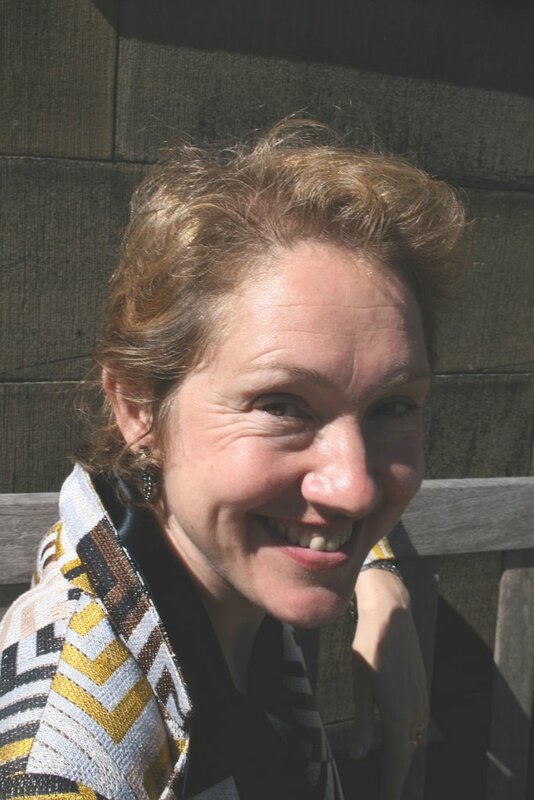 Cornelia has been working with the Museum over the past year developing new work which will offer visitors a unique opportunity to see the Brontës interpreted through the work of a major contemporary British artist. 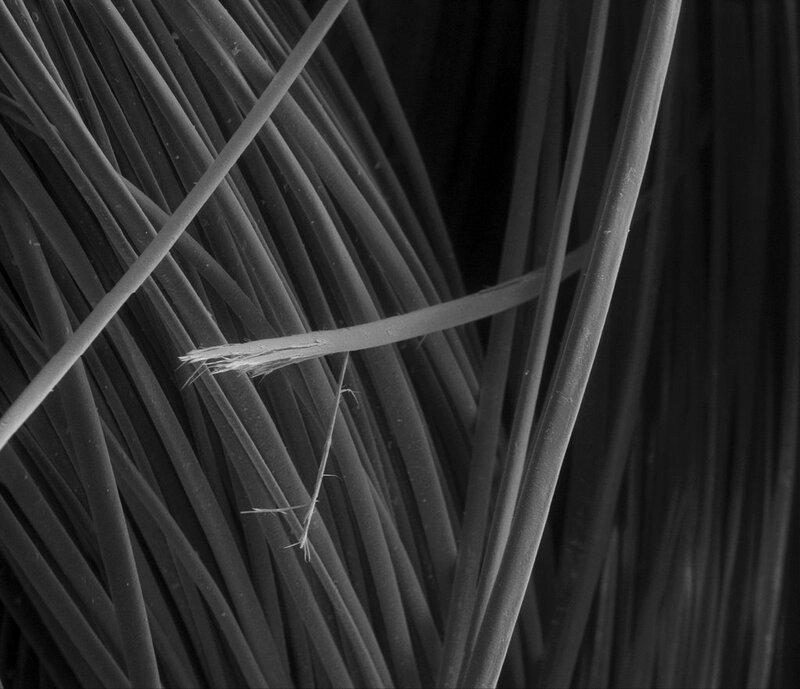 She has been exploring the Museum's collection, viewing original Brontë manuscripts in the British Library and working with the University of Bradford analysing samples of Brontë hair, using electron microscope imaging technology. The exhibition will include a series of images of Brontë artefacts, including samples of hair produced using this method. The Brontë Parsonage Museum has, over the years, attracted international artists, authors and film-makers all keen to interpret the lives of one of the most famous literary families of all time. The Museum is seeking to use the historic home of the Brontës in a new and dynamic way to bring the collections to life for visitors and make new connections with the creative arts. Andrew McCarthy, Parsonage Deputy Director, said, “Exhibiting work by such a prominent artist is very exciting and an historic opportunity for the Museum. “Cornelia Parker is interested in people, places and objects which have become so established within public consciousness as to have taken on a monumental quality. This is certainly true of the Brontës. “The problem with monuments is that they can become caricatures and Brontëan Abstracts will challenge some of our preconceptions about the Brontës and give us a new perspective on them”. The exhibition was made possible with support from Illuminate, The Esmée Fairburn Foundation and The Henry Moore Foundation. The Illuminate festival is a programme of arts and cultural events taking place in the five Yorkshire cities of Bradford, Hull, Leeds, Sheffield and York from October 2005 to October 2006 and has been funded by the DCMS. The Parsonage will be contributing to the festival with a week-long programme of Brontë events from Saturday 16 September 2006 to Sunday 24 September 2006. Cornelia Parker was born in Cheshire in 1956 and lives and works in London. She studied at Gloucestershire College of Art and Design, Wolverhampton Polytechnic and at Reading University. She is best known for a number of large-scale installations including Cold Dark Matter: An Exploded View (1991), and The Maybe (1995), a collaboration with actress Tilda Swinton, who appeared sleeping inside a vitrine at the Serpentine Gallery. In tandem with large projects like these she has also made an ongoing series of smaller works entitled Avoided Object, working in collaboration with numerous institutions including HM Customs & Excise, The Royal Armouries and Madame Tussauds. In 1997 she was awarded a residency at ArtPace in San Antonio, Texas and was shortlisted for the Turner Prize, Tate Gallery, London. In 1998 she had major solo exhibitions at the Serpentine Gallery, London, and Deitch Projects, New York. A retrospective of her work was held at the ICA Boston in 2000. In 2001, the Galeria de Arte Moderne in Turin presented a major one-person show, and the Victoria & Albert Museum in London commissioned a permanent installation for the British Galleries. Recent group exhibitions include The Tate Triennale, Tate Britain 2003 and The Disembodied Spirit, Bowdoin Museum of Art, USA. She has works in the Tate Collection and in numerous public and private collections in Europe and the USA. She is represented by Frith Street Gallery, London. Rafe Spall, Rebecca Hall and Nina Sosanya head up the cast in an adaptation of Wide Sargasso Sea, Jean Rhys' highly-charged prequel to Jane Eyre by Charlotte BrontÃ«, by the makers of Spooks and Life on Mars. Rhys, herself a Creole, felt BrontÃ« had misrepresented Creole women in her work. She wanted to show an alternative to the story of Bertha Mason, Mr Rochester's first wife, and dispel the 'mad wife' image created by Bronte. Rhys' powerful work describes not only the meltdown of lust and passion, but also the atmosphere of paranoia and racial tensions that characterised the Caribbean in the 1830s. The film stars Rafe Spall (The Chatterley Affair) as Edward; Rebecca Hall, appearing in Christopher Nolan's new film The Prestige this Autumn, plays his wife Antoinette Cosway; Nina Sosanya (Casanova) plays her nurse Christophine; Michael Maloney plays Mr Mason; Victoria Hamilton plays Cora; and Katrine de Candole plays Annette. BBC FOUR Controller Janice Hadlow said: "It's great that Jean Rhys' captivating prequel to Jane Eyre is being adapted for BBC FOUR and with such a fantastic cast." Claire Parker, Co-Executive Producer, said: "Stephen Greenhorn's wonderful script and Brendan Maher's fresh, original direction have attracted a fantastic cast to the project, from exciting, young, emerging talent such as Rafe Spall and Rebecca Hall, to established names such as Nina Sosanya, Victoria Hamilton and Michael Maloney. 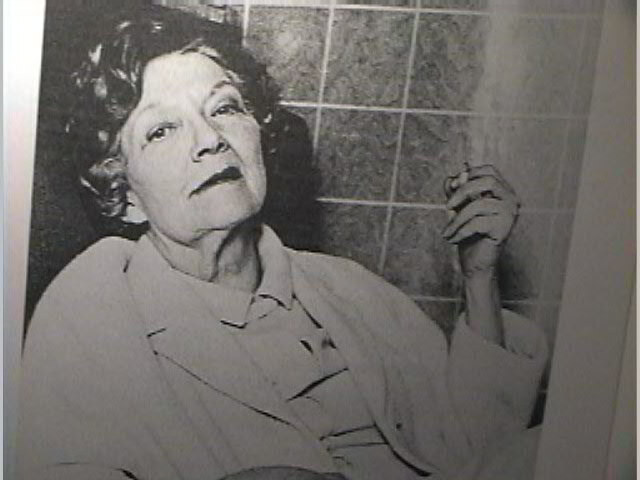 "We are delighted to have the opportunity to bring to the screen Jean Rhys' passionate story of the first Mrs Rochester. "This is period drama with a twist â€“ contemporary and compelling." Filming for Wide Sargasso Sea is currently underway in Jamaica and in locations around the UK. is adapted by Stephen Greenhorn, who has written extensively for the stage and television. This is the story (first published in 1966) of Bertha, Rochesterâ€™s first bride. The novel gives us a new slant on the BrontÃ« classic and a damning observation of colonialism in the West Indies. It is set just after the slaves have been emancipated, when race relations are tense. Rochester knows the woman whom he later calls Bertha (itâ€™s her middle name) as Antoinette. She is descended from once-rich plantation owners, and has a number of half brothers and sisters, the result of her fatherâ€™s relationships with various black women. She is a â€œwhite creoleâ€� with a taint, at the time scandalous, of â€œracial impurityâ€�. In addition, there is a suspicion of mental instability, so she is not accepted by either the local black community or by the white colonial establishment. Rhys makes it clear that alternative voices have been suppressed in Jane Eyre : here, Rochester and Antoinette have the speaking voice divided between them, although Rochester is never actually named. He is portrayed as a younger brother full of pride and prejudice who is lured into a marriage without love by his unscrupulous family. He accuses Antoinette of being promiscuously attracted towards black people - but he has no qualms about making love with the maid Amelie, so revealing his hypocrisy with regard to former slaves. Briefly, he is happy at Granbois, but he readily believes the worst about his wife, and everything falls apart. Jean Rhys can not change the essentials of the BrontÃ« text, but she does allow us to see the events from a new angle, and leaves the ending open. Antoinette dreams of the fire and her death-leap but the novel ends with her resolve to do something. Irony indeed! Santâ€™Agata dei Goti is a charming medieval village in Campania, a region of Southern Italy where the Sannio Film Festival is held every year in July. It is the only European festival entirely dedicated to costume films and this year on Thursday 6th July it payed a particular homage to Jenny Beavan, one of the greatest costume designers of the world and the creator of costumes for films like Gosford Park, Sense and Sensibility, Howardâ€™s End, Alexander and in particular Zeffirelliâ€™s Jane Eyre. Jane and Rochesterâ€™s wedding dresses were on show along with all the others in a splendid exhibition in a church dedicated to Saint Francis. Since Santâ€™Agata dei Goti is a three hundred kilometres drive from where I live, as a representative of the BrontÃ« Society as well as the Italian member of the editorial board of BrontÃ« Studies, on the fixed day I hurried there to meet the famous Oscar winning lady and to congratulate her for her BrontÃ«-related work. 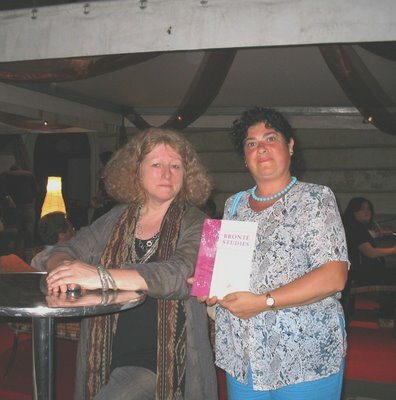 The organisers of the Sannio Film Festival on their part had already planned to give her a special award for her career and to project Zeffirelliâ€™s film on to a large screen in the afternoon while I was waiting Ms. Beavanâ€™s arrival, so I enjoyed watching it on the Mustilli holiday farm. Ms. Beavan was then welcomed in a little square in the crowded centre of Sant'Agata. She was led from there to her costumes exhibition. A friendly and talkative lady, Jenny walked all the way with some other film directors and costume designers (notably the one for Oliver Twist) and was very much photographed. I had the opportunity to take some photos and have a chat with her and of course I asked about her work for Jane Eyre. She told me she had realized all of it in only six weeks and on location during the film making, this being always her work technique. In any case she usually keeps all ideas in her mind, writing just a few notes on a scrap of paper on the directorâ€™s directions and tastes. Then I asked Jenny if she already knew Mr Zeffirelli at the time and she answered that she didnâ€™t, he had simply phoned her after examining her previous work. The evening in Santâ€™Agata dei Goti was for me a wonderful occasion to meet once more a gifted and sensitive woman but also the best way to let our Society be known to her and to the Italian people present there. 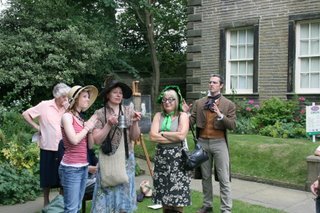 Every year, members of the BrontÃ« Society gather in Haworth in the first week of June for a series of entertainments and events. This selection of photographs should give a flavour of what went on. On the Friday evening, the Live Literature Company performed Charlotte, Emily and Anne by Douglas Verrall, directed by Valerie Doulton. The company was launched in October 2002 with Byron in Love, which was performed in the room in Melbourne House, Whitehall, where Byron met Lady Caroline Lamb, and has since gone from strength to strength. Charlotte, Emily and Anne was performed in the West Lane Baptist Church in Haworth. Anna Calder-Marshall later spoke about her famous role as Cathy in Wuthering Heights alongside Timothy Dalton's Heathcliff, and about her highly emotional re-encounter with the BrontÃ« Parsonage Museum earlier in the day. 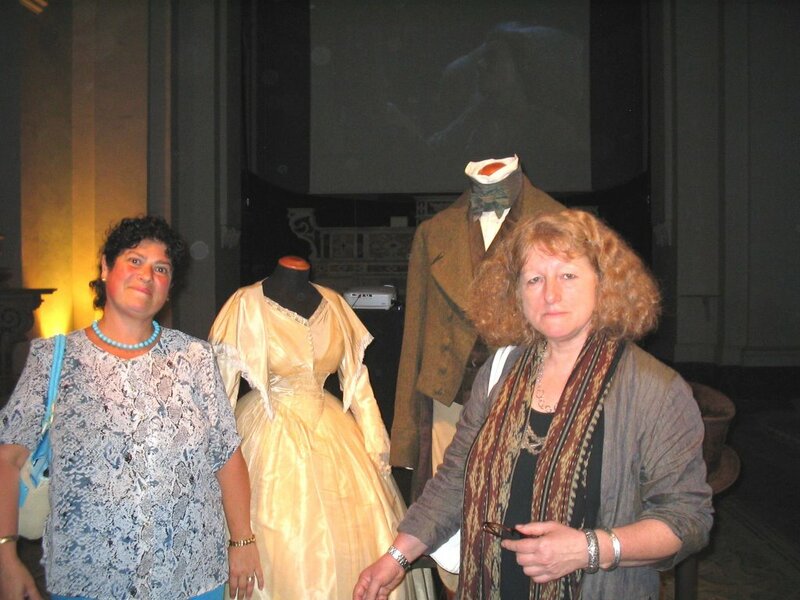 Anna has worked many times with Valerie Doulton on William Blake programmes. Recent works include Lie of the Land at The Donmar, Birthday Party and Bird Calls at Sheffield Crucible, Humble Boy in the West End and her one woman show The Wild Girl. 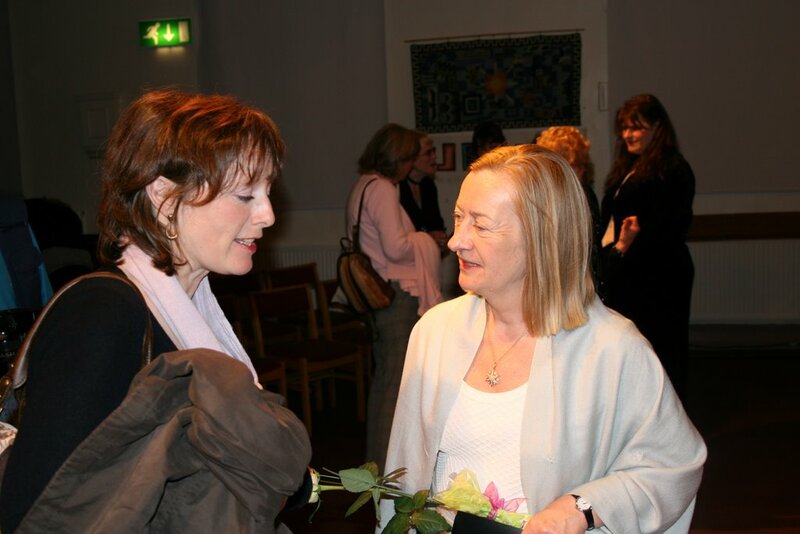 BrontÃ« Society President Rebecca Fraser speaks to Valerie Doulton after the performance. 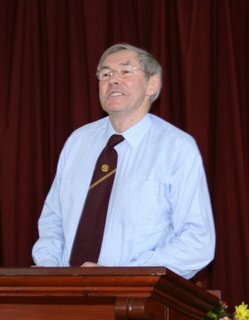 On the Saturday, Dudley Green delivered a lecture based on his recently-published The Letters of the Reverend Patrick BrontÃ«, which is available online from the Parsonage shop. He read a number of the letters and made the point that Patrick was a highly eloquent, energetic and sometimes contradictory character, a compassionate campaigner whose letters often appeared in such newspapers as The Leeds Intelligencer and its rival, The Leeds Mercury. He could sound very radical and 'modern' in his opposition to the Poor Law Amendment Act, even at one point describing the workhouses as 'Bastilles' (a term used by some of the Chartists) and also conventionally 'old-fashioned' in his defence of the dominance of the Church of England. It's even more an inventory of sartorial loss - solitary socks and wedding dresses that disappeared through what Picardie laments as misfortune but sounds more like carelessness. And all draped around the central loss of her life, the death of her sister Ruth, which made Picardie contemplate the darkness at the heart of wardrobes: the serial little deaths and resurrections of fashion; the garments left behind, personalised by amendment and wear (the button resewn to the Gap jacket with unmatching thread) that sadden us as they hang there, carapaces for who we were or those we cared about. Her talk also included comments on the works of Daphne du Maurier in general and her The Infernal World of Branwell BrontÃ« in particular. This has recently been republished with a preface by Justine Picardie. On the Sunday, there were walks and a brass band concert. 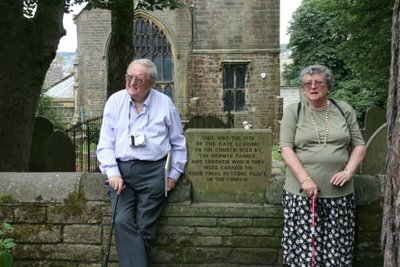 Excursions and visits to Manchester and Kirk Smeaton (once home for Arthur Bell Nicholls) took place on Monday and Tuesday - photos will be posted when available.